Following Judge Henry Autrey's order seemingly shutting down the government's renewed effort to forfeit a mummy mask located at the St. Louis Art Museum (SLAM), the eastern district U.S. Attorney's Office has once again filed court papers trying to reopen the case of United States v. Mask of Ka-Nefer-Nefer. 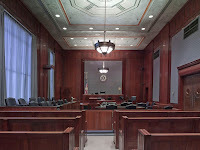 In pleadings dated June 8, federal prosecutors propose both an amended complaint and a request to the court for permission to accept the latest petitions. The government's motion for permission to accept the new complaint states that "[n]one of the Court’s orders have addressed the United States’s request for time to seek leave to file an amended complaint or indicated that any proposed amendment would be futile. District courts routinely do not terminate a case at the same time that they grant a motion to dismiss; rather, they generally dismiss the plaintiff’s complaint without prejudice and give the plaintiff at least one opportunity to amend his complaint." The government therefore submitted a new complaint for the court's consideration. In the new complaint, the government's attorneys repeat their contention that the Ka Nefer Nefer mask was stolen. But they allege more forcefully and more thoroughly claims that the parties involved either "knew" the mummy mask was stolen, unlawfully exported, or illegally imported, or that they were "willfully blind" to the fact that the mask's "purported provenance was fictional." Details of the government's allegations can be found by reading the The First Amended Verified Complaint.